Pope Francis is set on clearing up the Vatican's financesPope Francis issued a decree designed to combat money-laundering and prevent any financing of terrorism. The Pope has stepped up the fight against corruption at the Vatican by strengthening supervision of financial transactions at its internal bank.It is the latest move to stamp out abuses at the Vatican bank, which handles funds for the Catholic Church. 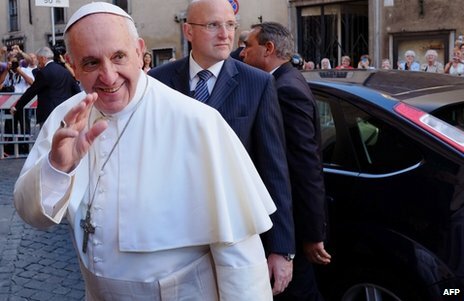 Pope Francis's number one priority this summer is to sort out the financial mess at the Vatican bank and a parent body which looks after the financial assets of the Holy See, the BBC's David Willey reports from Rome.